I am very lucky to have been offered other book contracts over the years, from wonderful publishers, but this is the right one for me. As soon as I have more news about the exact date of my new book release, I will let you all know. Thank you for your continuing support of my writing journey and for popping by, as it’s very much appreciated. 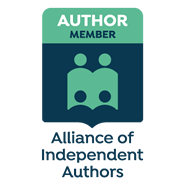 Writing can be an isolating process, but with all of the fabulous authors and readers I have met since I wrote my first book, Babe Driven, it feels like there is such a wealth of support out there. Thank you so much for the support, good wishes and reblog! It’s weird, I don’t know you, but I’m genuinely happy for you.